Disgraced Texas beauty queen, Melinda (Mel) Langston, owns Laguna Beach’s Bow Wow Boutique. Mona Michaels, Mel’s most despised client, owns a star dog, Fluffy, who’s worth millions. 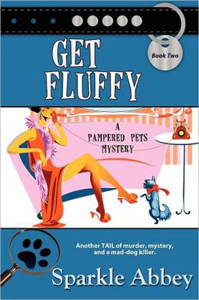 When Mona is found whacked in the head with Fluffy’s Daytime Emmy, everyone wants Fluffy, but someone won’t stop at murder to get the pooch. Secrets. Blackmail. Mel tackles the case like a dog with a bone. But can she dig up the truth before the killer buries her?